Sylvester Mercy chinomso (mesi Sylvia), a 300L student of Parasitology and Entomology department, NAU, got wrapped in the cold hands of death. 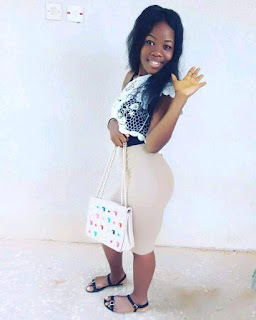 She was found dead and her body mutilated few days after she was kidnapped by unknown gunmen that invaded their residence at Amaba, Isiukwuato in Abia State. What a painful and untimely exit. May God console her family, relatives, Course mates, PAE dept. and the entire UNIZIK students, and grant all affected the fortitude to bear the loss. Mesi Silva, UNIZIK bids you farewell.